Think you can’t earn money by recycling garbage? Think again. I have to admit, this is really exciting to me. After all, it’s not often we can earn money by recycling our garbage. And I’m not talking electronics here: I’m talking Oreo wrappers, yogurt containers, Capri Sun drink pouches, Kashi boxes, energy bar wrappers…you know. Garbage. Right now, Terracycle is looking for people to sign up for their recycling program. The company makes things like bags, homework folders, lunch boxes, plant food, and fire starters out of recycled materials. And, they need people’s garbage to keep making their awesome products. So, they’re looking for people to sign up for their program. They pay around 2 cents per wrapper (or 5 cents per large yogurt cup), and they’ll send you pre-paid postage envelopes to send in your garbage. Now, they won’t just write you a check; the money has to go to a non-profit of your choice, or to a school. But, this is an easy, very eco-friendly way to raise money for a great cause. Think about it: everyone wins here. You’re helping save the earth by recycling these things, your non-profit wins because they get money, and Terracycle wins because they can reuse these materials and make functional, funky products. What’s not to love here? Terracycle’s program is also perfect for organizations, and here’s why: in another effort to be more eco-friendly, they ask you to not send in your garbage until you’ve collected at least 50 wrappers. 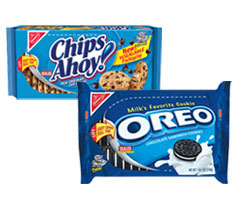 For instance, I’m a major Oreo fiend, but it’d take me a while to save up 50 wrappers. Which is why getting together with friends, family, church, or school groups to do this is such a great idea. 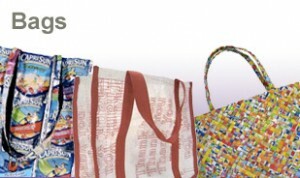 Please visit Terracycle.com to sign up; they have a few thousand spots open for each program. What a bummer. I got all excited only to realise that it is an American project. Oh well, maybe they will get to the UK soon. Really It is an interesting and Intellectual post. I am fully satisfied with the information provided in the post. Indeed, that sounds awesome, I’ll need to try this one later. Regards! Green Nation Gardens has most of the TerraCycle products. I got my son a kids backpack and my daughter a tote. Tis stuff is really cool!! !